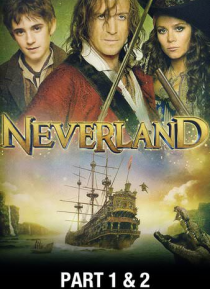 Neverland introduces us to a young lad named Peter and his streetwise gang, who are mysteriously transported from turn-of-the-century London into an enchanting parallel world where time stands still and an adventure awaits like nothing you've ever seen before. In Neverland, no one ever ages and lost souls have been plucked out of time. The lost boys are soon caught in a war with the man who will … become Captain Hook and change the fate of this mystical land forever. Includes Parts 1 and 2.